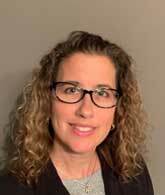 FVCbank, a community bank with eleven offices in the DC metro area, has promoted Cindy Piccione to Senior Vice President of Deposit Operations. Piccione has been with FVCbank since January 2011, where she has played a key role in the full conversions of two banks, among many other significant accomplishments. Piccione leads a strong team that ensures the daily processing of the bank is completed not only timely and efficiently but also with the highest customer service. With over 20 years in banking, she has truly found her niche in the problem solving and ever expanding area of deposit operations. Implementing new and faster business solutions to better the customer experience is her objective. “Cindy and her team have the consummate ‘can do’ attitude and works tirelessly for our customers –internal and external – to deliver above and beyond service. Cindy’s oversite of deposit operations has spotlighted her significant expertise and commitment to our Bank,” said Bank President Patricia Ferrick.